“Why Isn’t the Transportation Sector More Engaged in Student Transportation?” asks Jennifer Schiess of Bellwether Education Partners in the Eno Transportation Weekly. Schless provides a good overview of why school buses — “the largest mass transit system in the [US]” — are so frustrating, for both students and providers. Yet the real problem is much simpler than her article suggests. The problem is bell times. Really, this is all you need to know. Many, many US transit agencies are pressured to run service to schools where yellow bus service isn’t provided. In the early 1990s, for example, when I was working in California, funding cuts wiped out almost all school-funded yellow bus service. Suddenly one day, a regular bus passed near a high school and found 200 kids waiting, for more than a bus could handle. The problem was dumped onto the transit agencies without any funding to address it. What’s more, when school districts run school buses, they think about how to run them more efficiently. This often means setting bell times — the time school begins and ends — differently at different schools so that a single bus and driver can do multiple pieces of work. But as soon as the schools didn’t have to think about transportation, they stopped setting their bell times with any concern for the efficient use of transit resources. Suddenly, we transit planners were told, bell times were locked down by other priorities. The result was a mess for both transit agencies and students. In dense cities, there is often enough all-day transit near a school, and enough walkable streets, that students can disperse at bell times using services that are running all-day anyway, though the sudden big loads are still a challenge for these services. In network designs, I often try to keep routes a few blocks away from major schools, so that kids will tend to walk to stops on different routes instead of all ending up at one. But in a low density suburban area, there may be almost no demand until 3:00 PM, when suddenly there are 500 kids expecting us to take them home. Buy big buses that hold 100? Sure, but that’s still five driver shifts that are 1-2 hours long. And if three schools set identical bell times, we need 15 shifts, when if they staggered bell times we might still get away with five. This is a nice example of a problem that no technology will solve, at least until we have such cheap driverless buses that it’s no problem for them to sit around until once, twice a day, we need five of them. Like all users of transportation services, schools need to be motivated to think about the demands they place on public services. Because without staggered bell times, these demands can eat transit agency budgets, disrupt other customers, and produce worse mobility for everyone. And, ohbytheway, you the transit agency must give a discount to these urchins that are so expensive to serve. Why do you resent the needs of poor children? School issues turned up in each service planning job that I held. Jarrett’s essay is accurate, but I would add that the best use of transit for school transportation usually turns out to be for high school programs that draw citywide. 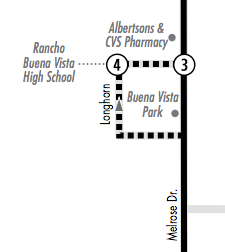 These are difficult to serve with yellow buses due to the widely scattered homes, but unless the school is in a remote location the students fit in with adult commuters. Jarrett also did not get into the FTA rules that are intended to protect the yellow bus industry. Originally,they were written to ban pupils from riding transit for school! (Operator: “Kid, are you going to school or to your McDonald’s job?”) This was so stupid that the rules were revised when put into effect. The federal involvement was justified by the nation’s interest in buying buses and in providing operating subsidies (the latter was discontinued later for large cities). This source of funding seemed to some communities with low mode shares like the perfect way to pay for school bus service. When I worked in Edmonton we were spared federal involvement, of course, and dealt with the peak vehicle demands in the same ways that the former U,S, private systems did: retaining older buses in the fleet, using clever interlines, or some of the methods mentioned by Jarrett. In my country high schools operate timetables like universities so student exit times are pretty random within the same school, and school bus service was never provided in the first place. This is really interesting. Thanks for sharing! Do you mind sharing which country? I’d also be interested to know if students sign up for classes like in a University, where the students have a degree of flexibility and they’re responsible for getting the right classes in each semester? Finnish sixth form / high school (ages 16-18) has flexible curriculums. Pupils are expected to chart their way through the required courses (with assistance). In a small school there won’t be that many options, but in a big one there can be a lot of variety. At ages 13-15 there is some variety based on chosen subjects. In my time (over 20 years ago) days started at 8 or 9 and ended at 2, 3 or 4 pm. It’s very interesting how different cities handle school trips. The big cities with good all day transit (NYC, LA, Chi, Minneapolis) seem to only add a few trips on routes that are nearest to schools to help with heavy loads. Some of these trips may operate off the route to serve the school. My research doesn’t indicate the school district pays for these trips, just the transit agency being a good working partner. Then you have the medium sized cities that mostly operate a spoke and hub transit system. These cities, like Rochester, NY, operate many school specific routes that deviate greatly from regular routes because the transit system isn’t designed for crosstown connections. There can easily be 10 or more buses serving each school dismissal. The local transit agency in these cities tend to not be shy about getting funding from the school district to operate these routes and students tend to ride free. The routes are of course open to the public, but so obscure with timing and routing that regular riders don’t know they exist. The outliers I’ve found so far are Boston and Philadelphia. Large, dense cities with high transit demand, that also operate many specialized school routes. Philly has dozens of ‘400 series’ routes that serve schools but you won’t find any information on their website about them. Overall, I think any city large enough to have a public transit system should be transporting at least the high school students to school. Either by specialized routing or free or discounted rides funded by the district. Teenagers can learn alot by navigating the city on their own and it might even encourage future transit ridership if one is exposed to and comfortable with taking transit during their time in school. A similar problem is how university routes have very sharp peaks at class change times. In Ames, Iowa (Iowa State), CyRide runs up to five buses on a single scheduled trip back-to-back just to handle the demand surge. Vancouver has a notable surge on the UBC-bound routes. But it’s only in the morning peak – the buses that are timed to just make the 9 am or 10 am classes fill at the first station, while the ones timed for 1 pm or 2 pm don’t always even fill to seated capacity. I used to teach high school and for years built high school timetables. I had one vice principal (assistant Principal in the US) tell me that he was going to change the school starting from 8:40 to 9:30 because it fit the natural sleep patterns of teenagers better.I asked if he had checked with student transportation services, the ones who schedule the school buses. He asked me why couldn’t they just run later I informed him that they did high school runs, then went back and did elementary school runs and then some did special needs runs after that. He called up the school bus schedulers and was told that our school would start at 8:15 the following year to allow for more efficient use of buses. He was not happy. Fortunately the transit system in the outer suburb of Toronto were I live has about 500 buses and runs a lot of rush hour extras which become school feeder service at the end of the a.m. rush hour and before the p.m. rush hour. These buses charge regular student fares. Because of different school starting times some of these buses will provide for more than 1 high school after the a.m. rush and before the p.m. The transit company likes it because they get better utilization of assets, The school board likes it because it allows students more choice of high schools to attend. This works because in Canada, and in particular around greater Toronto, we have a higher modal share for transit than in most US areas. The transit company has one industrial route that starts at 4:50 a.m. Demand is so high on that bus that they run 3 buses at the same time then two go off to other routes. They will also move scheduled extras from one rout to another or move types of vehicles, articulated vs single section, between routs to balance capacity with demand, better utilization of assets. I don’t the idea of forcing the entire student population to not get enough sleep for the sake of reducing costs to run the yellow school buses, especially in school districts where an overwhelming majority of students are being driven by their parents and don’t even ride the bus. Like it or not, teenagers need more sleep than adults, and not giving them enough sleep, day after day, has consequences on their ability to learn and function. Nor do I buy the argument that there isn’t a way to shuffle schedules around to make it work (e.g. start every school an hour later, rather than just one). A lot of the reason school buses are so expensive is because too many students are traveling too far to begin with. A couple generations ago, most students simply walked to their neighborhood school, and didn’t need buses at all. It’s fine if parents make the choice to send their child to a school that’s far away because they believe it to be better, but they should be prepared to cover the increased cost of transportation resulting from such decisions, rather than simply expect the taxpayers to pay for it. We could also build schools in places that are more accessible to the population they serve. Repeatedly, I see schools being built on remote land because it is cheap, but which making them inaccessible by any mode other than a motor vehicle (whether car, bus, etc.) In some ways, this is a land use problem in search of a transit solution. When I was in school in a smallish rural University town (20,000 people), there was a bit of an ongoing battle between the management of the school bus contractor and the school Principals who set start times. The high school officially started at 7:35am, but most students were dropped off by their bus by 7:10am because the same bus had to drop a load of students at the Middle School by 8:00am, and then had to drop kids at one of the Elementary schools by 8:30am. The routes were generally 45 minutes long, so …. At the other end of the day, the High School let out at 1:55pm and the buses were not supposed to leave before 2:00 but often did. This was because the Middle School let out at 2:30 and the Principal would complain if the buses weren’t there and waiting at that time. And the Elementary schools let out at 3:15. Add to this that each route consisted of 45-50 students and many drivers complained that unless some students were absent, they could not possibly complete their route on schedule. Further complications include that in the morning a bus was supposed to wait for 60 seconds if a student wasn’t at their stop, and that younger students had shorter distances to walk to their stops: Elementary students got picked up at the end of their driveway, Middle school students clustered in small groups, and High school students were expected to walk up to 1/4 mile to/from collection points. And yet millions of kids in the US grow up riding buses to school and don’t ride the bus as adults. Maybe crowded, noisy school buses turn them off of the idea of public transit. I think that commuting on the public bus system would make students (1) more aware of the problems that it faces, and how heavily it is used, and (2) more confident in using and understanding their local transit system. Despite taking a bus to school for about a decade, I couldn’t have told you the first thing about how to use a city bus in my hometown until I was out of school and my car was in the shop. Another benefit would be that parents would have an interest in the bus system being kept up well, and if there’s one thing that motivates people it’s the wellbeing of their kids. I must apologize, again, for confusing more than one topic. 1. I see a relation between this post and Jarrett’s previous post. Part of this my post might relate more to that one. 2. As a European and living in a city of +200,000 (historic city centre: +10,000, once ~50,000) American yellow school busses are known to me only by Hollywood movies. I do remember how heart-warming it was how Forrest Gump’s son in the end of the movie is picked up by the same bus driver as his father in the beginning of the movie. I don’t know how realistic this is, but anyway. 3a. My observation is that trains are inpopular to many because they only remember the filled-up trains on Friday afternoon and Sunday evening and never rode a train at a different time. I have many more points, but now I’m tired, so enough for today – and thanks, Jarrett, for all your previous posts, and everyone for contributing comments! School transport in the Netherlands saves $ 640 million per year. As MG and Ruediger said, one argument is that having children travel to school by scheduled public transport gets them comfortable with the system and makes them more likely to stay using public transport when they grow up (assuming their experience wasn’t so awful as to put them off). On the other hand, large numbers of rowdy children on public transport can annoy or intimidate other passengers into avoiding public transport at certain times, or completely. Somehow off-topic – but everything is related to everything. We recently had a school bus crisis in Oakland CA. AS Transit, the local agency had negotiated a dedicated grant for special route/schedule services funded by the state legislature but passed through by the Oakland school district. After roughly 2 decades, the school district decided not topass the money along resulting in AC threatening to abolish the service. This brouhaha was exacerbated by the fact that many of these buses facilitated “escaping” the high poverty/low achievement neighborhood schools in favor of the upper income schools in the hill areas. Note this is also a race/ethnic issue. After several months of public finger pointing, a one year compromise was achieved with the agreement to work together to get the state funding increased as (no surprise) driver wages and working conditions make these buses more expensive to operate. About teaching students the utility of transit, the other end of that equation is the negative lesson agencies teach by having grossly inadequate post evening/weekend frequencies. Worth underlining, Jarrett has once again zeroed in on a critical issue in how to design transit services and dealing with the onerous results of decisions by large trip generators. IIRC, in Rennes, France, a medium-sized town with a few very big employers(automotive industry, telecoms, universities), they solved a good part of their problems by moving the beginning of the student’s lessons 15 minutes later. So they avoided other activities. Never perfect, but helps a lot. In Baltimore the transit agency had the authority to shift the starting times for schools, within a range, to better fit the bus scheduling requirements. I don’t know if this still exists. It is not just about bell times. New schools are rarely sited on, or even close, to transit. Growing school districts are often growing because of greenfield development, and schools are sited on cheap land, not accessibility, criteria. Most greenfield development will never be transit accessible, so students are relegated to prison in their parents vehicles, or driving to school, when their parents can afford the high cost of vehicle, gas and other costs, and insurance. Then we get sprawling parking lots that teach students this is not a transit world, and they are second class citizens if they don’t get to school in a car. Good point. In the Denver metro area we have old school buildings that get good service without route deviations, newer schools set far from through streets that are hard to serve, and some of the newest suburban schools that won’t get service because they are in cul-de-sac sites that would require separate low productivity routes. This combined with demographics results in different degrees of transit/auto orientation between schools in the same district. Topping all that, however, was a charter school which opened in an industrial park with no sidewalks. Most of the kids were driven by their parents, but a small number did ride the blue-collar oriented bus route. We tried some modest improvements, but their parents could not understand why the service was not better. One of the issues in Australia is the rise in the number of aspirational private schools. They are often started by local church/religious groups and have long term visions of expansion, so they look for a sizable block where they can build multiple structures and have playing fields for their highly competitive sporting teams. As such, a lot of these schools appear in the semi-rural fringe areas, requiring state funded school only routes provided by the local route operators (some states and areas have school funded school buses)which have long diversions from the areas of normal routes. The latest trend is for private schools to contract charter operators to provide direct services (often in buses sign-written for the school) over the top of the normal network to serve concentrations of students. Even the older land-locked schools are setting up or using existing sporting fields away from the main school site and depend on chartered buses to link them. In suburbs developed before WWII most public schools are close to regular transport, but the post war boom saw many school in new suburbs located away from the main corridors on vacant blocks, requiring diversions to service them. From the 1990’s onward many states allowed their public high schools to specialise and removed local ‘catchment area’ restrictions, resulting in higher demand for bus services, with public students traveling long distances like some private students. I agree with others here that having students use existing transport educates them in how the network operates, making them more/less likely to use it in the future (depending on their experience). It is also important that dedicated school routes follow the network as closely as possible to not only re-enforce the network to passengers, but to simplify the number of paths used which helps with staff training and the provision of infrastructure along all the paths used. It isn’t just the parking lots that teach that lesson. My high school had very limited parking. I was in the smallest graduating class every, at 176 people. Eight years earlier, the Senior Class had been almost 800. Parking for students was by permit only, and there were 120 permits available on a first-come-first serve basis. As in, when I was a Senior and got a permit, I got one of the 120 available that year. Plus, as that lot was shared by faculty and staff, having a permit was no guarantee of having a space. Also, all the parking near the school was private and either permit-controlled or time-limited to just a couple of hours. And yes, students who parked, say, behind a movie theater that was only open in the evenings would find their car towed by mid-day. Many students carpooled because the bus service was … to meet the scheduling needs of other schools, most buses dropped students at the high school 30+ minutes before school started. So taking the bus involved getting up before 6am to stand by a road in subzero (Fahrenheit) temperatures to be dropped off at school well before you needed to be there. Driving meant you could arrive later and could take a more direct route, and therefore could get at least an hour more sleep. When I grew up in rural Germany we had dedicated school buses for the primary school (not yellow ones like in the US, but retired coaches). For middle school and up kids just used regular public buses, including fair amounts of walking from the stations to the schools. As far as I can tell the system still is pretty much the same these days, but the public buses run a lot more often now, while we sometimes had to wait quite a bit for a bus after school end, especially for some of the less usual school end times. Less usual means that most days school started with the 1. class at 7:50am and ended at 12:50 pm, but a few times a week either the first class didn’t exist, or the last one didn’t. In senior high we also had afternoon classes after a lunch break that we organized ourselves outside the school a few times a week, which meant we got home with the usual afternoon rush hour buses. IMHO the yellow buses are a complete waste of money that could be spent educating children instead of moving them around. Did kids all suddenly stop showing up to school in CA back when they cut funds for busing? People would figure it out. Does anyone get good data from these operations? like what % of students are they moving on a daily basis, what percent are denied service because of where they live? How many find it useless because of before or after school activities? What is the cost per service hour delivered? Boardings per hour of service? Opportunity cost in terms of new teachers that could be hired with the $? It often seems that school boards fund buses on autopilot without checking for a nexus between the expenditure and some quantifiable benefit. They assume that it’s something they have to do or else… what? Overbuilt buses pollute the air around schools with diesel particulates and damage residential streets with their excess weight. Timing / capacity issues are true of any concentrated start or release point including rush hour in any CBD. It’s possible to apply proven techniques to address this congestion (not solve or eliminate it). Perhaps instead of different times at each school we could have different times for different grades at the same school, to stagger arrivals and departures by every mode. Siting was mentioned above and that has been a big issue in our area for newer schools. They keep getting put far away from service with overbuilt parking and no safe access for ped/bike trips. As a parent I feel cheated right now – I pay the same tax as everyone else but my kids don’t get bus service because we are outside a 1 mile circle from school, nevermind that the walk is over 1 mile with no sidewalks and steep slopes that obscure sightlines and that most of the buses drive down the same street we have to walk on. The significant amount of money now spent on busing could be reinvested to provide permanent safe walking and biking spaces. It could provide transit passes for some of the kids who live farther away. It could subsidize Lyft or other solutions if those fit best for the circumstance. Or it could just be spent on education. I feel like the gain to schools from getting out of the transportation biz would be big and the added difficulty to transit is what we live for… the challenge of more riders! The issue of large loads at schools (charter schools and community colleges) comes up annually in the fall for my agency and inevitably it calms down within 2 weeks as people move to other modes or figure out how to reorganize their schedule to have a better trip. Sometimes we do need a larger vehicle or a shadow trip. While there is a cost to accommodating such surges, there is an upside as well. Shifting management from a school board to a transportation agency should save overhead and capital cost since there is overlap of expertise and needs in the latter arrangement that is not present in the former. In my area there are at least 3 bus bases used exclusively for school transport. One of them is right next to a transit center, but the transit base is 10 miles away, so there are lots of pull-in and pull-out trips going that distance that maybe wouldn’t need to if the adjacent base were shared. The benefit to transit is that these riders will often make additional trips, by stopping at the store to get something mom forgot, or going over to a friends and then home, etc… They will learn the system and things like how to make transfers and will be more likely to use it because they understand how it works, unlike kids riding the yellow bus who grow up and call me to ask why the bus doesn’t go directly from their home to their work at the exact time they want it to. Without dedicated busing students would be more involved in making transport mode choices and would likely opt for more variety and thrift. For the young transit riders the benefit is freedom, the liberty to visit a variety of destinations after school and to participate in myriad activities available in a city with many people, rather than just being shipped home on an assigned route that may be seriously loopy, like my old elementary route that took 45minutes to deliver me less than 3/4 mile from the school. In summary, driving and yellow bus = bad!!! Walk, bike & transit to school = good!!! There is an issue of accountability. School bus drivers are not like normal transit drivers: they are responsible for the children in their care. Like, on occasions when we were going to visit a friend after school, we needed to have a note from a parent to present to the bus driver, because the bus driver isn’t supposed to let kids on the bus who are not assigned to that bus, and is not supposed to let anyone get off except at their assigned stop. Because parents are legally required to send their kids to school*, the school is legally required to be responsible for the safety of the children in their custody, and that starts when they get on the bus. *Unless one jumps through the difficult hoops to establish that one is providing a legally adequate education at home. Part of the problem in North America is the development of the low density car centred suburbs. The population density is so low that there are often not enough students within walking distance of the school so some students need to be bused in to get the school up o an acceptable level of enrollment. In Ontario I think that an acceptable walking distance for lower grade students is 2 km but for higher grades it is 3.2 km. I went to school in the 50s and 60s in the old city of Toronto, the 34 sq. mi. served by a 4 mile long subway and about 750 streetcars. There were no yellow school buses then, you either walked to school or took public transit. The suburbs with there lower density had school buses but they had no subway of street cars. I played football in high school and we did not have any buses to take us to games. They told us what street car routes to take and let us out in enough time to get there. If we made the playoffs then they would charter a bus for us but we had to go before the rush hour started and wait until it was over for our ride back home, no Friday Night Lights for us. Since everyone knew that the TTC was building a new subway along Bloor-Danforth, the main east-west artery, the school board built all new high schools near stations on that line. It was cheaper to give them students’ tickets than to pay for school buses and the service was heavy enough that a couple of hundred high school students getting on would not overload the system. As the suburbs and ex-urbs grew the need for the yellow bus also grew. Older denser inner cities with high level transit service could absorb the influx of a few hundred high school students but the less dense suburbs had to provide school buses for them. Don’t even look at Northern Ontario where some students have a 2+ hour ride in the morning and in the afternoon. This is a result of the province’s decision to “save” money by closing low population schools and busing students for 60 to 80 miles. I had to start taking the Metro bus to school in Fall 2004 because I got really sick of being stranded when I had to be picked up. Alot of the teachers at my school neglected the issue instead of calling the bus company and telling the school district about it too. My mom contacting the bus barn didn’t solve my issue because they refused to pick me up on time every day like they were supposed to be doing. I didn’t get home onetime until 6:00 pm. The Houston ISD ignored my e-mail message about the school bus service instead answering my message telling me they would do something about it. One of my former co-workers’ daughter has the same problem I did. This really has to stop rather they like it or not! Where I live, in Hagen, Germany (a city of 180,000+ inhabitants), the transport company only runs some additional journeys on top of the regular bus routes for the school rush hour. Also, quite a few of the bigger schools are within the reach of our central bus station, so most students take the normal buses from there. Students that live more than 3 km (1.85 mi) away from their school, get a bus pass for free, others pay €30 for it. The pass is valid for all buses and trains in our whole region (more than 8 million inhabitants). With that pass, they can even go to the Netherlands. The issue of transportation of schoolchildren has always been acute in our country, because many students still do not have access to the school bus, while they live very far from the school. This is really an outrageous fact. Even when I was still in school, throughout my studies, a school bus never came for me, and my parents had to get out of work to take me to school. It’s really sad, that because of this my parents had problems at work. Thank you for discussing such an important topic for our society! Our city, Rome, Georgia has used transit buses leased from the city , as “school buses “… for decades! However… they do not have to go by state school bus safety laws. They are not yellow and do not have stop signs. There have been accidents over the years but I do not believe any child has actually died. I don’t like the idea because when the bus stops and the children get off, the bus just pulls away and the students are then left to fend for themselves to try to cross busy streets where there are no crosswalks. These buses are owned by our city transit department, however, they are not there same buses used on transit routes. These like much like “school buses ” but don’t have the loading & unload safety features. Our county school district here does use yellow school buses, and I’ve NEVER HEARD OF ANOTHER district use “non- school buses” for transporting students to school. I think the whole school sitiation needs to be redone. After Tropical Storm Harvey in the Houston TX area, one High School was damaged by flood water. So the school was “moved” to another. The main group of students had the traditional time slots at the campus. Ones from the flooded school had a second shift. And having two “different” student bodies on the same campus worked! What does this have to do with transportation and transit? In the future, school districts might have to do this not because of flood waters, but because of a flood of students and lack of money. Come to think about it, most schools and public buildings are used, at most 10 to 12 hours a day. Suppose somebody in a position of government thinks we should be squeezing the use of assests? Then we might see multi shifts in not just schools, courts, and so on. For workers and parents, that might work better for them Hospials kinda work that policy. 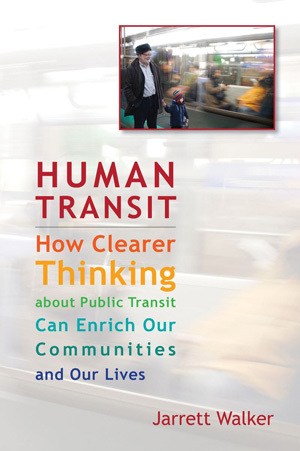 How would a transition affect transit? And final thought: When will the general population break free from the 9 to 5 slavery they have been chained to? In the UK school children in larger towns and cities have to use the scheduled bus service, which may or may not augment services to cater for the demand. In rural areas education authorities contract local bus companies to provide school transport. These contracts are vital to rural bus companies because they form the basis for their scheduled route network which fit around the morning and afternoon school journeys. When I was a child in the 1970s, my local secondary school had school bus service contracted to a local coach company by the education authority. This company did not run scheduled public bus services, as this predated bus deregulation. All scheduled services were provided by the local National Bus Company (NVC) subsidiary. At my school pupils who lived a certain distance and beyond got free school bus transport in these old coaches. Pupils from a large estate on the edge of town, which was too close to qualify for free transport, were served by a bus from the NBC company and had to pay a fare. This bus was always a double decker, and had a conductor to take the fares.